I am Shelly-Ann McNish a cultural ambassador from the sunshine island of Jamaica.I am a transformative educator, who is committed to safeguarding and promoting education and well being among every child that I come in contact with.I believe that in every child’s life there is a vacuum waiting to be filled by me, this is one of the many reasons why I am so passionate about my profession.I am proud to say I am making an impact on the most treasured of all resources, the human intellect! This webquest is Social Studies based and focuses on The Solar System. 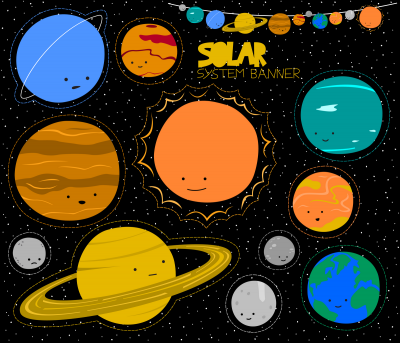 In this webquest students will learn all about the Solar System and its importance.